The sandwhich board sign out front advertises “Now Serving Spaghetti • Pizza • Italian Specialties”. 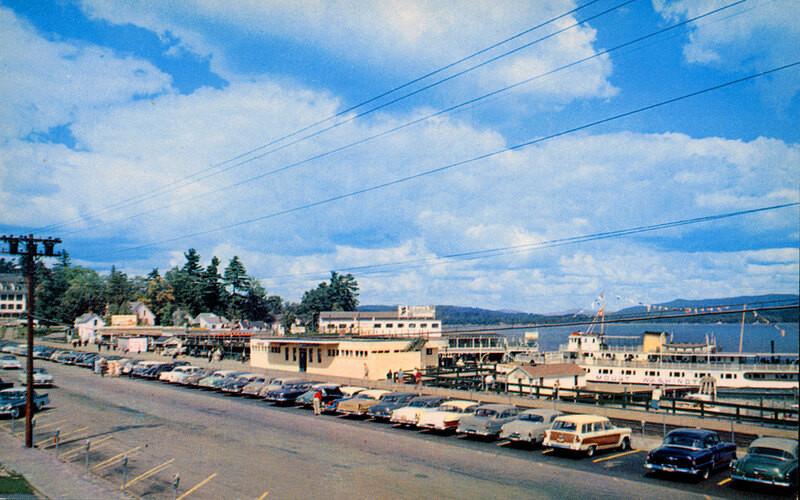 Also, notice the sign for “Speedboat Rides” at the entrance to the Winnipesaukee Pier. 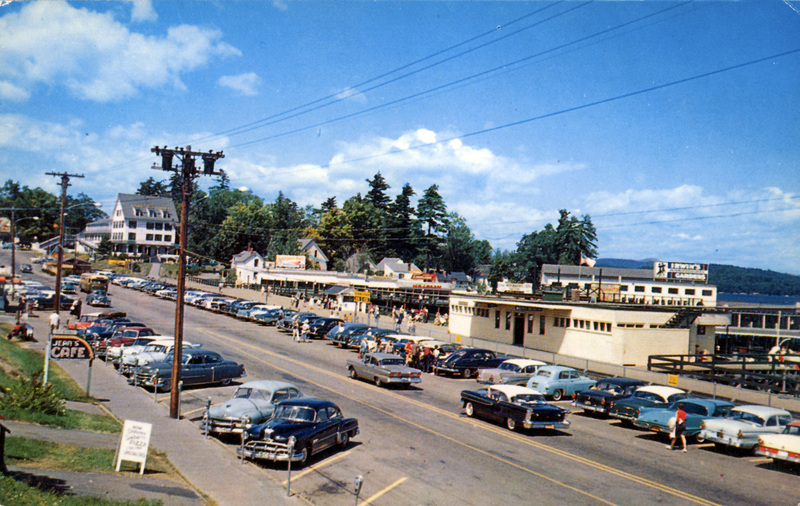 Cars seen in this photo include: c.1950, Mercury c.1950, 1958 Oldsmobile, 1957 Ford, 1955 Ford, 1957 Chrysler Imperial, 1953 Chevrolet, 1950 Plymouth, 1958 Ford, 1957 Chevy, Cadillac c.1950, and more. Another view of Lakeside Avenue around the same time. Cars include 1951 Chevy, 1953 Chrysler, 1955 Ford Country Squire, 1951 Mercury, 1955 Pontiac and more.